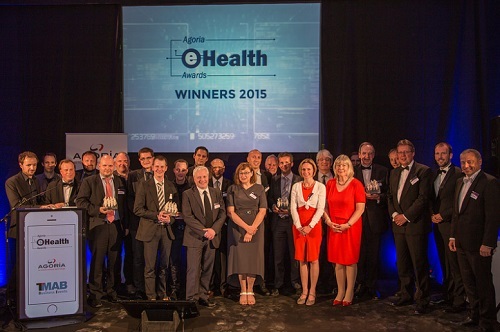 The awards ceremony for the 2015 Agoria e-Health Awards was held at the Colonial Palace in Tervuren on Thursday, 4 June 2015. These honours reward intelligent and efficient IT solutions that make life easier for all those involved in the medical sector (healthcare providers, patients, the social security authorities, etc.). 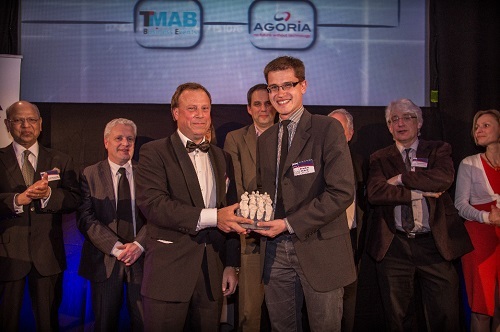 Sébastien Jodogne (on the right) receiving the award for best project on behalf of Liège University Hospital. This year's award for best project went to Liège University Hospital for its IT project Orthanc, relating to the processing of medical images. Each year Liège University Hospital scans 100,000 CDs containing medical images. This is a costly operation bearing in mind that every CD costs around €0.20 and that they have to be burned before being sent by post to the patient's doctor. In a world first, drawing on the introduction of the free Orthanc software, which uses Cloud technology, the hospital is aiming to drastically reduce this volume and send images by secure emails directly to the doctors and medical personnel concerned, also saving a lot of time and money for Belgium's social security system. “This is just one of many eHealth applications that our country has pioneered and with which it is doing its bit in the drive to modernise healthcare”, said Marc Lambotte, CEO of Agoria, who was delighted at the record number of entries submitted this year. You can find all the photos of the winners here.